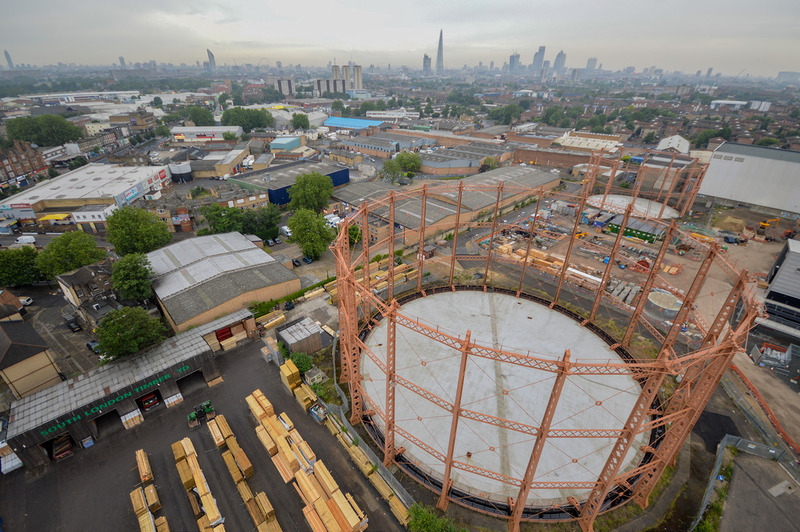 These two redundant gasholder frames are all that remain of the once extensive South Metropolitan Gas Company works on Old Kent Road. I climbed this in the early hours after a long night of doing other stuff with Elliot5200 and Gabe, and a friend who stayed at the bottom for this one. 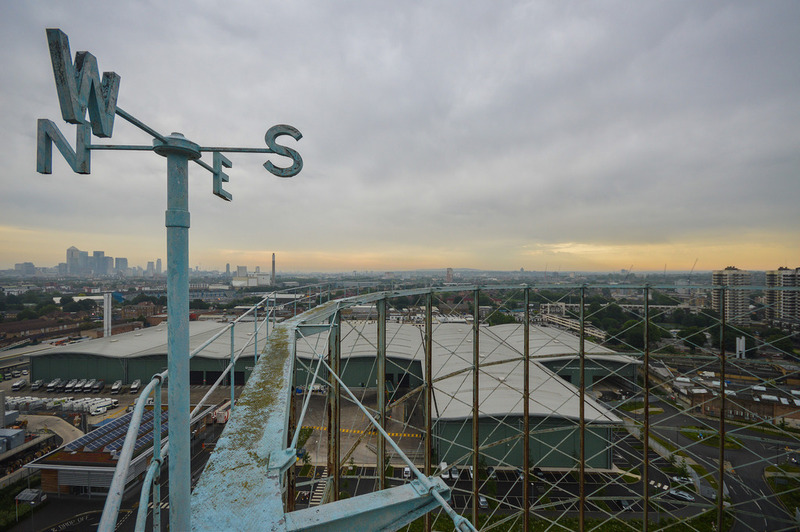 We nearly sacked it off as the weather conditions were deteriorating and broad daylight was already upon us, but nevertheless we found ourselves at the bottom looking up and had to go for it. 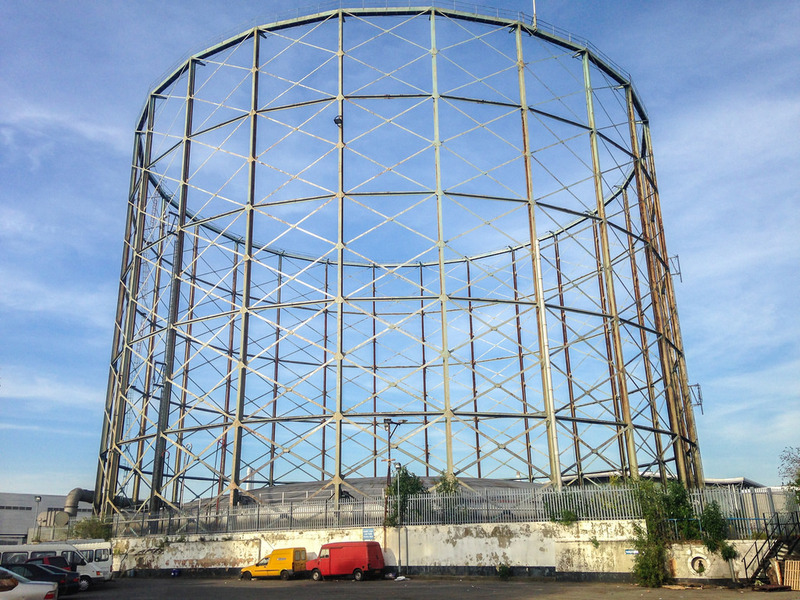 I noticed the previous day that the security hut had been partially boarded up and had signs of squatter's dirty laundry inside which I took as a good sign for the current status of the 2 gas holders that sit directly behind it. 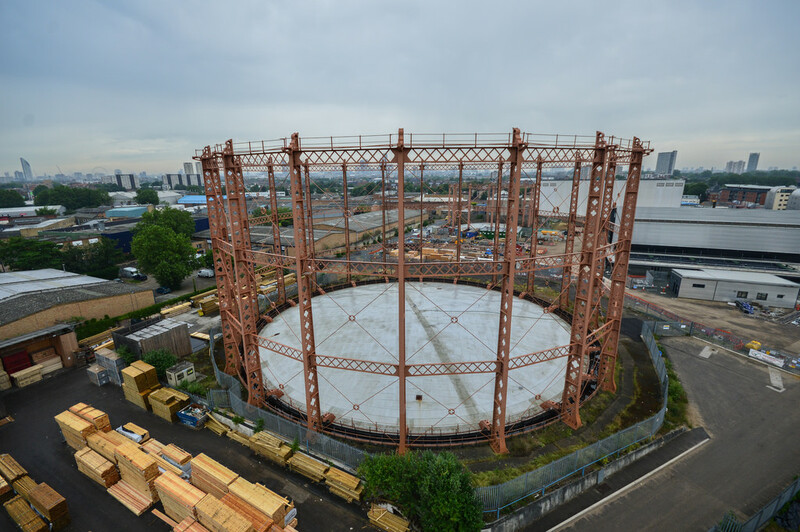 Here's some history: In 1829, the South Metropolitan Gas Company was formed and selected a site for works adjoining the Grand Surrey Canal on the eastern side of Old Kent Rd. The works were completed by 1833 and the company's offices added in 1834. 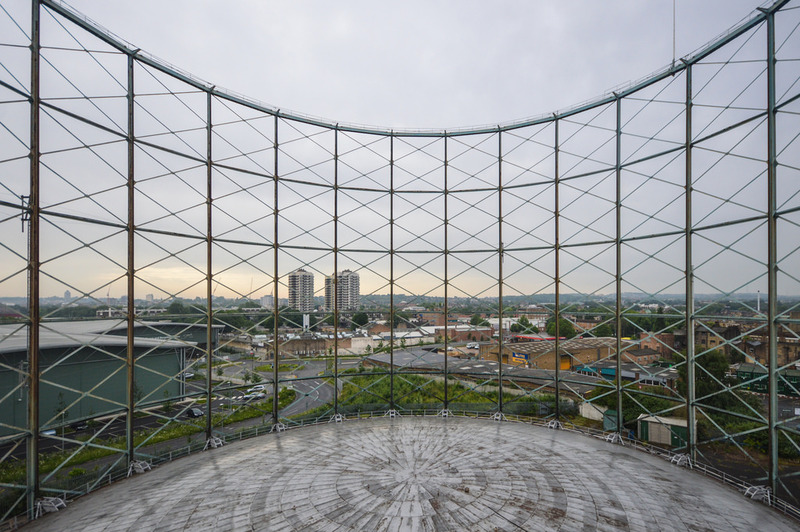 Barges were acquired to bring in coal and by 1856 there were seven gasholders on the site. 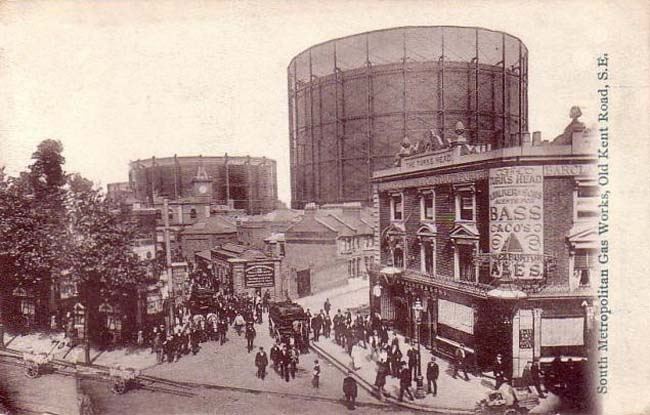 The works was rebuilt around that time further east along Old Kent Road where the gas holders currently still stand, both date back to the 1870s. 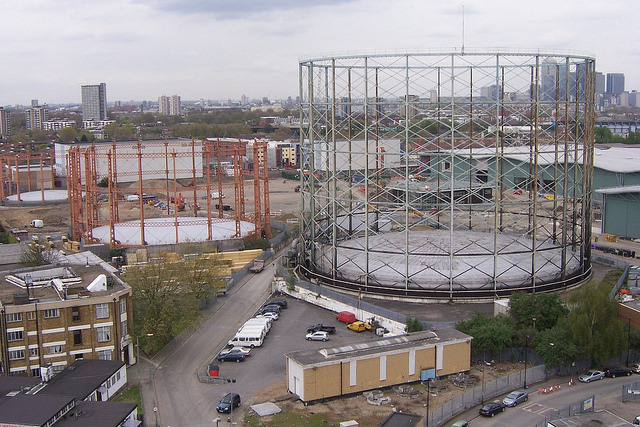 A World War 2 bomb was found at the site of the main gas holder in the 1950s as shown below. Onto my pics, all handheld with shaky hands but came out pretty well considering! This shot was taken the previous day with my phone. Access was pretty straight forward so we left our bags at the bottom and began our ascent up the first of five ladders. 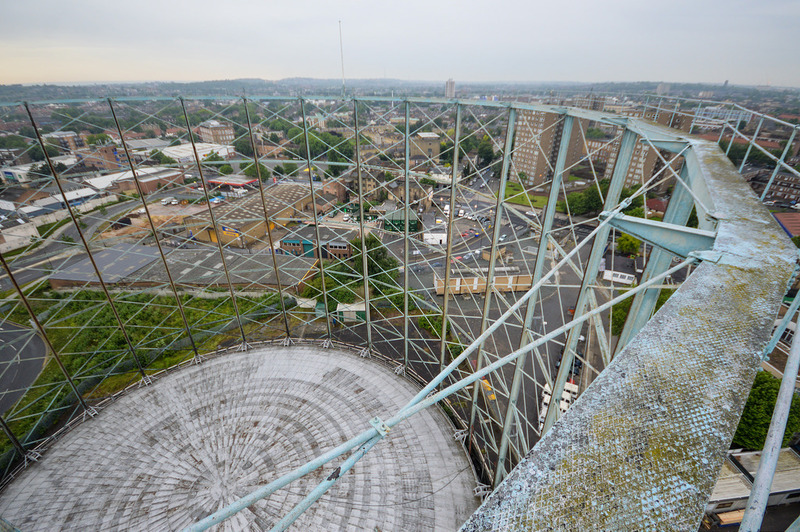 This was my first gasometer and straight away I felt particularly nervous about there being no cage around the ladder for protection, just a sheer drop all the way down. 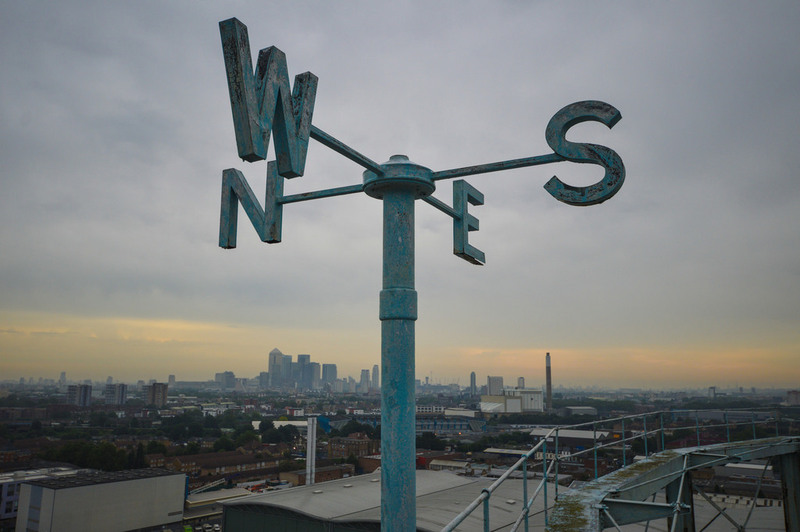 We got to the top, soaked up the views for a few minutes and took some snaps, the weather vane was a nice feature up there and there was a walkway around the top but we could feel the rain starting so it made sense to get back down quickly. Awesome shots and bravo for braving it. 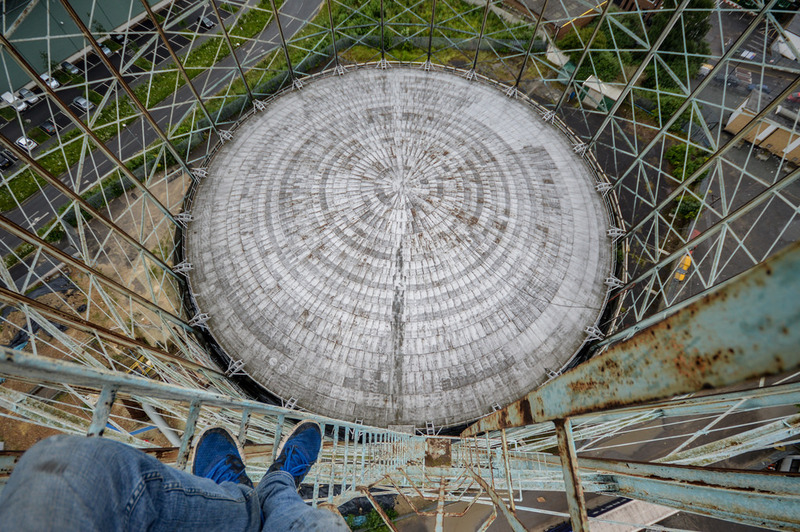 Don't think I would have the gonads to even attempt that one, let alone reach the top. Just looking at the pics makes my stomach drop! 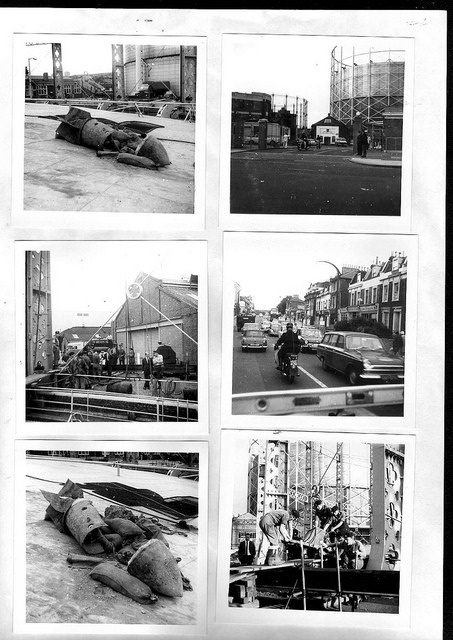 Nice photos there. Really sharp and capture the height extremely well. Nice work man. That walkway doesn't look particularly safe either without a barrier! Does this only have a very small platform for standing/resting or non at all? The walkway does look scary and tempting. Really like the design of the two smaller one's next to the one you climbed. Daytime view is different..like it mate! I swear you get everywhere! 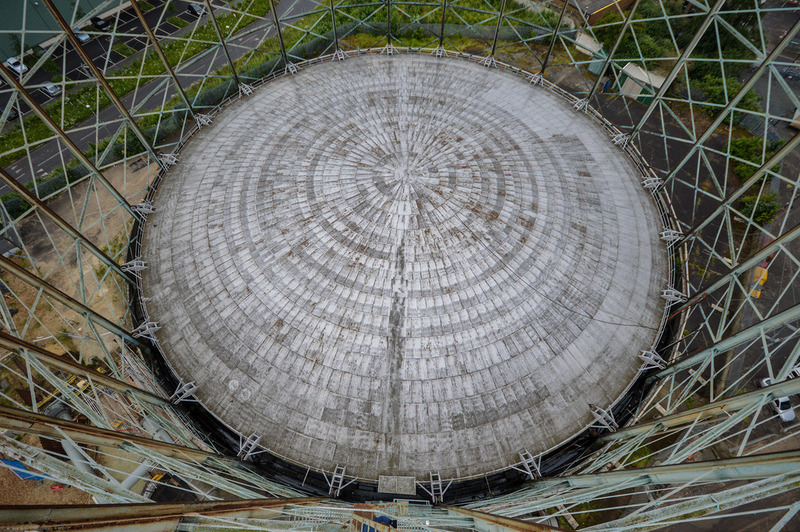 I can imagine the locals looking up at you in the middle of the day when you were climbing it. 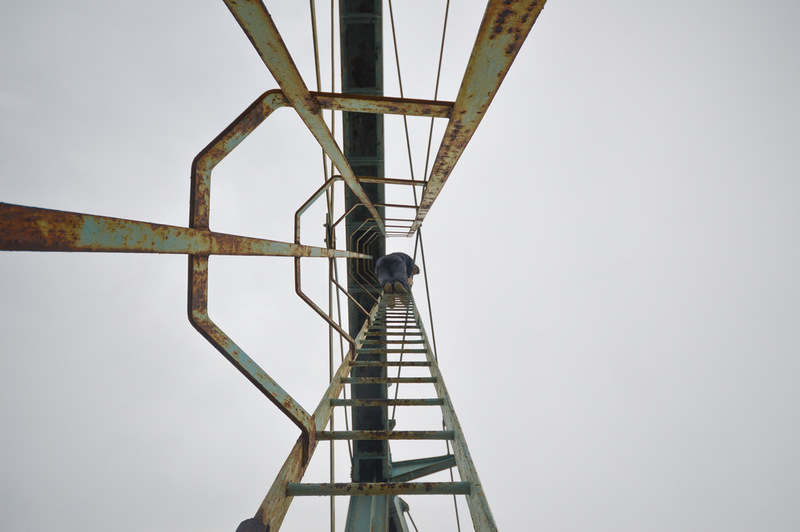 There is only a tiny platform to turn around on between ladders, I didn't hang around on those for long as it felt safer being on the ladder to be honest. The walkway on the top is about half a metre wide (perhaps a little more) with a railing just on the outside, you could walk the whole perimeter if you wished but for me with the rain starting to fall it was too scary to attempt. I hadn't even spotted the second little one next to it....! Daytime gas - always appealing… Good work dude. Nice pics that made my stomach turn just looking at them! 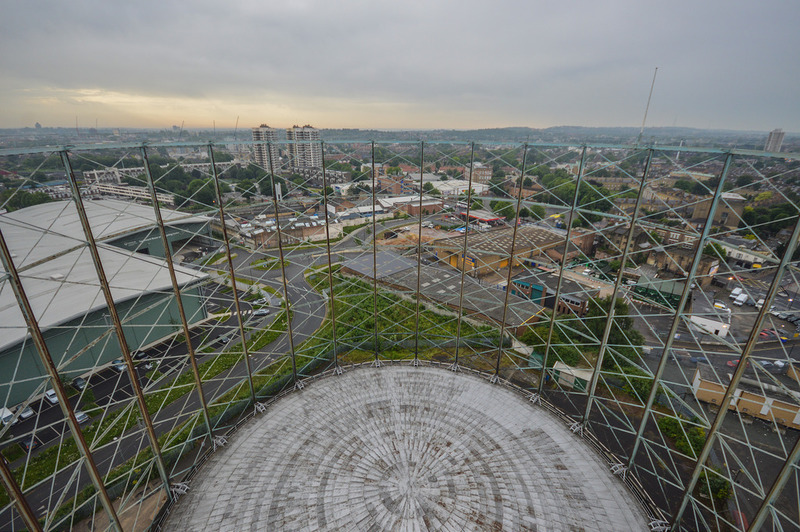 Hollinwood Gas Holder Site - Oldham - October 2015. 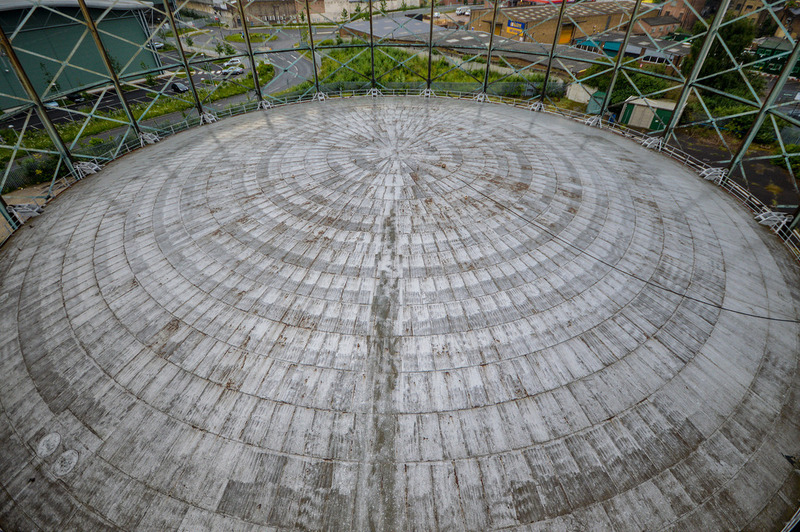 Report - Gasholder No. 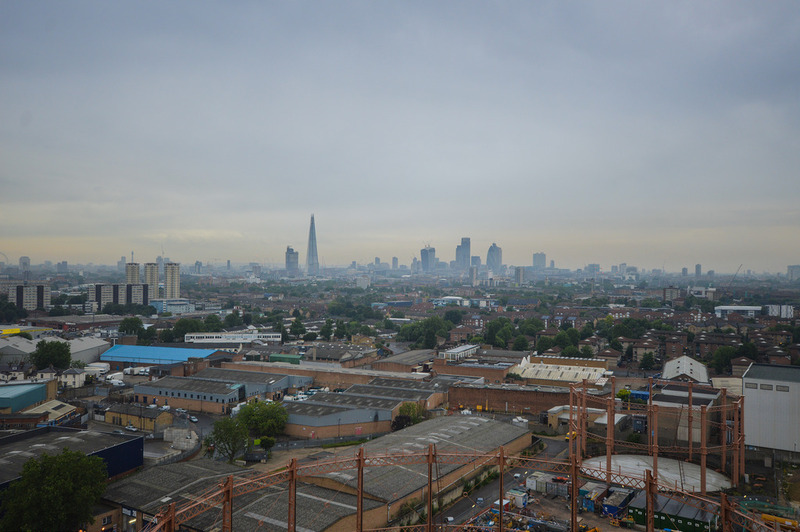 7, Nine Elms - 2013.